Every now and then I need a few days off from blogging to do something else entirely. 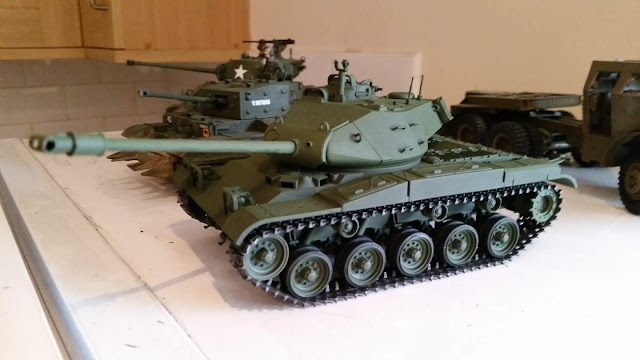 This week I decided to drag out a stack of hobby kits I've been meaning to build for the better part of a decade. That was a mistake. Being an obsessive, my living room is now almost entirely devoted to the production of model tanks and aeroplanes which I think is the reason I gave it up to begin with. Like Brexit, anything I do becomes all consuming to the exclusion of everything else. I had hoped that with a few days away from it all I would gain some perspective or have something original to say. 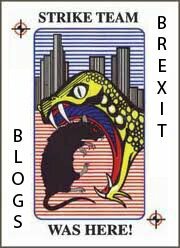 Blogging Brexit is seriously hard work when all has been said and we are just waiting for some kind of coherence from those in charge of it. There's only so many times you can churn over yet more of the same dismal nonsense from the ERG and there wasn't any point deconstructing the Economists for Free Trade because they haven't come up with anything at all new. It would seem this week, however, the ERG is on the wane with signals they are going to shelve any plans to de-throne Theresa May. Their cupboard is bare policy wise and since Mrs May is lumbered with all the difficult choices it serves them better to let her carry on until Brexit day and let her carry the can for whatever abortion of a deal we get. Assuming we get one that is. Right now the odds are back to fifty-fifty on that. The EU must realise they are not yet ready for a no-deal Brexit, so with Mrs May in the clear they might throw her a lifeline and offer only a vague political statement in place of a trade framework. That gets us as far as a withdrawal agreement if nothing else. Beyond that, absolutely anything could happen as it dawns on the powers that be that many of the "no deal" problems are not solved by a withdrawal agreement nor are they addressed by way of a basic FTA. Whoever is in charge by then will have to grapple with that question where finally we might get a sensible debate about the EEA. Tone from Brussels may also change with a withdrawal agreement in the bag. There is also the danger that tone from Brussels will harden after exit day since by the time the transition is over, most of the problems will be entirely our problem and not at all theirs. Again, thanks to the complete absence of a plan, we can only speculate. Here, I suggest those involved take a little time out to build a model of their own. It teaches you how to think and plan. As I have discovered this week, you have to understand what it is you are building, study all the components individually, break the job up into task and ensure you have all the materials you need before you start work. You also have to be mindful that though you have all of the necessary components, even with the best of intentions it is not going to look anything like it does on the box. With Brexit, they have no idea what they are building, don't know what the pieces are for, they're attempting to do it all at once and they think it's going to look better than it does on the box. They've been sniffing the paint thinner and inhaling the glue fumes. The secret to a good model is preparation and technique. It really doesn't matter how hamfisted you are just so long as you stick to the plan. Like the Joker from Batman says... Nobody panics when things go according to plan even when the plan is horrifying. There also comes a point when you have to admit that what you're doing isn't working and it's time to reach for the paint stripper. Sooner or later Mrs May will hold her Chequers plan up to the light and see that no amount of touching up or varnishing is going to make it any less of an abortion.